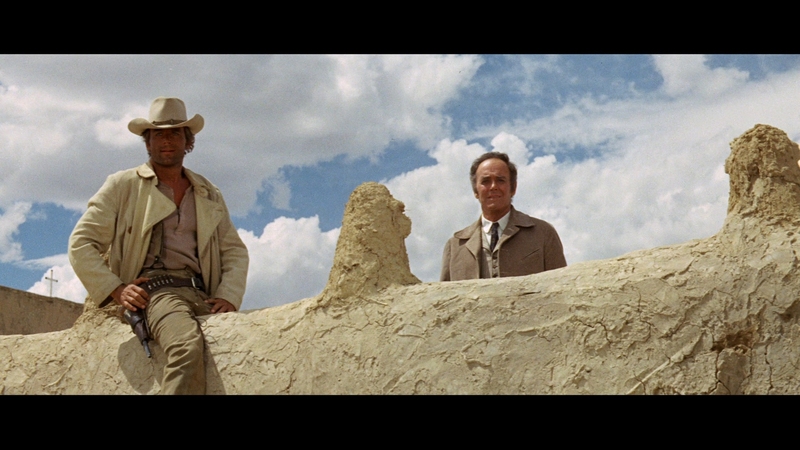 By 1973, the Western genre was fading from relevance in Hollywood and elsewhere. The genre had been in decline since the 1950s, its premature death having been staved off in the 1960s by the arrival of Spaghetti Westerns. 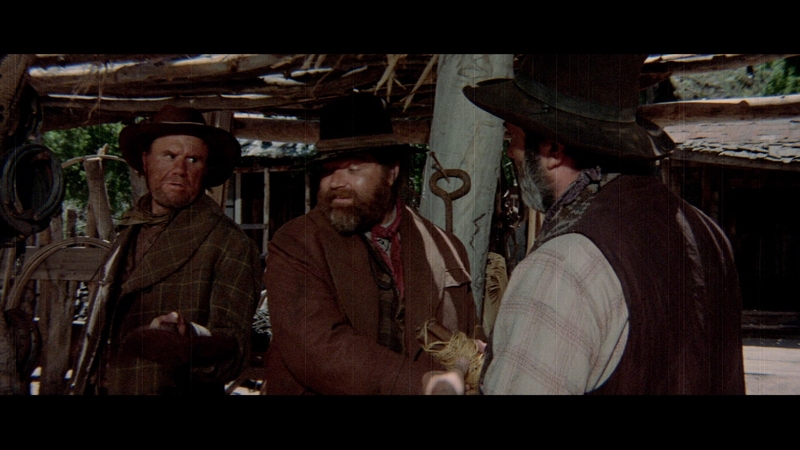 Sergio Leone with the Man With No Name trilogy and others reinvented the cinematic language of the stagnant genre. 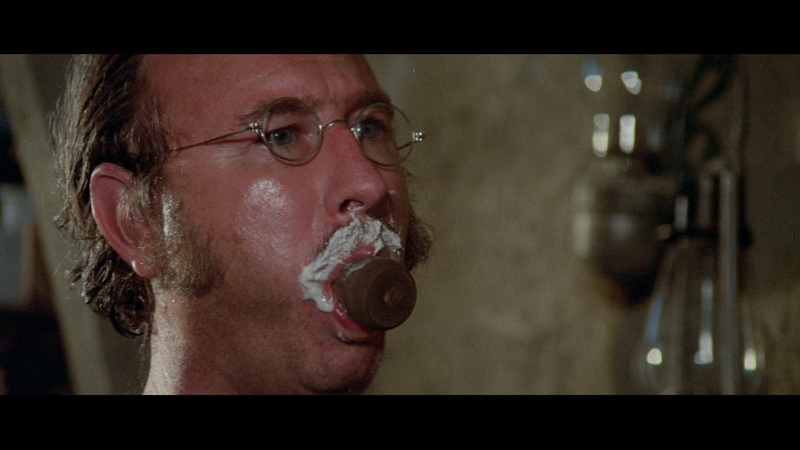 My Name is Nobody was a 1973 film produced by Sergio Leone and ably directed by his protégé, Tonino Valerii. 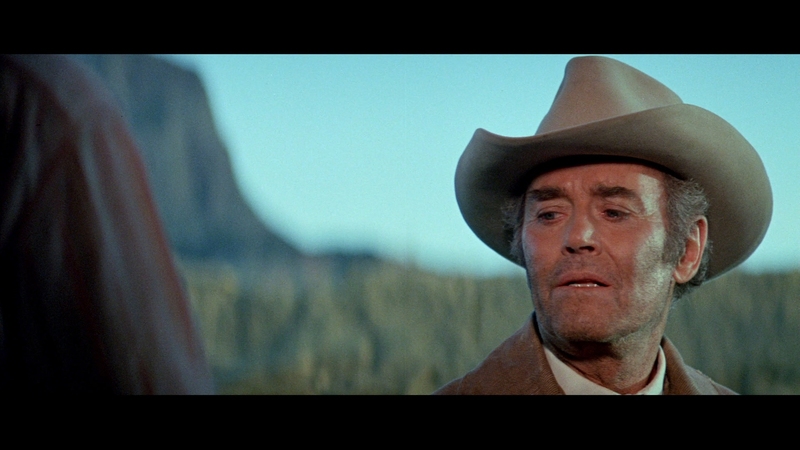 Starring an aging Henry Fonda as a retiring gunslinger hoping to walk off into the sunset, it works well as a last hurrah and goodbye to the Spaghetti Western. 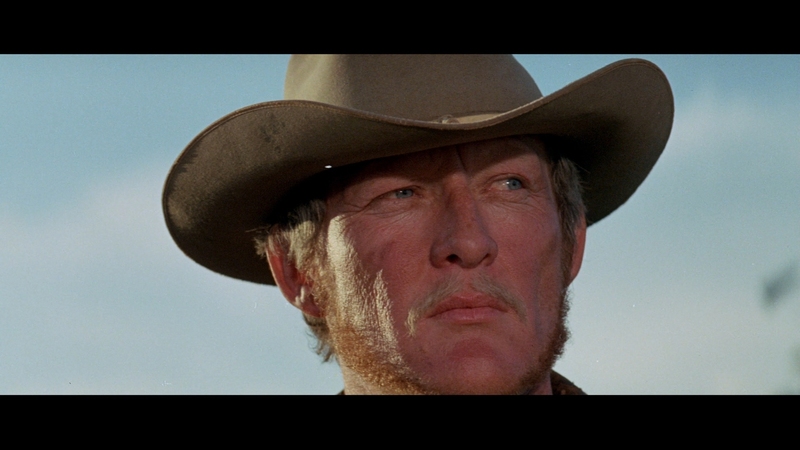 It retains many signature touches from Leone’s films while adding its own unique comedy to their formula. 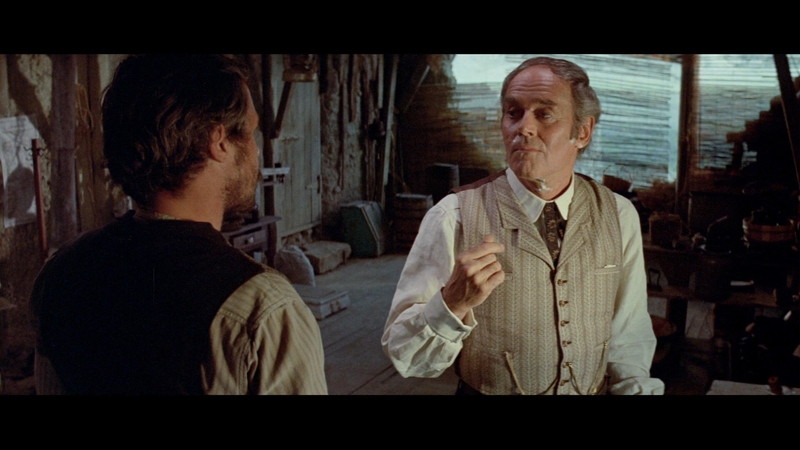 Clint Eastwood had been the grim loner and hero in Leone’s classic trilogy, a fairly common trope in this genre. The biggest difference with My Name Is Nobody are its lighter comedic elements interspersed into the shootouts and gun battles. 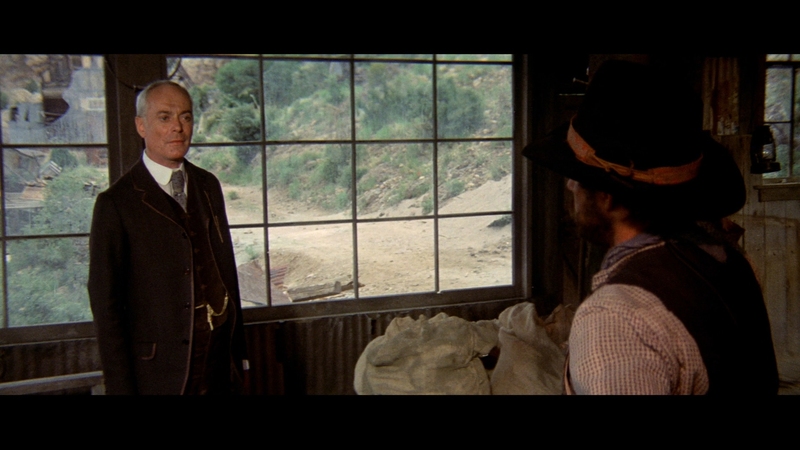 The story certainly does not take itself too seriously, unlike so many other Westerns. 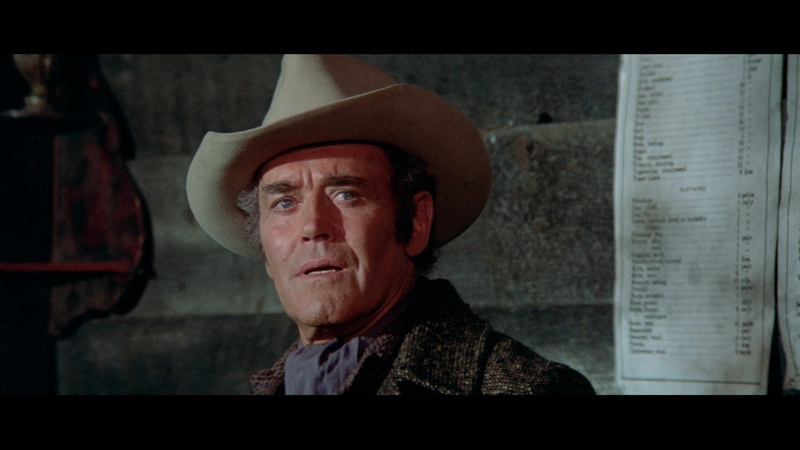 It is 1899 and aging Jack Beauregard (Henry Fonda) is looking to walk away from the stage as gunslinger, realizing his mortality is finally starting to catch up with him. 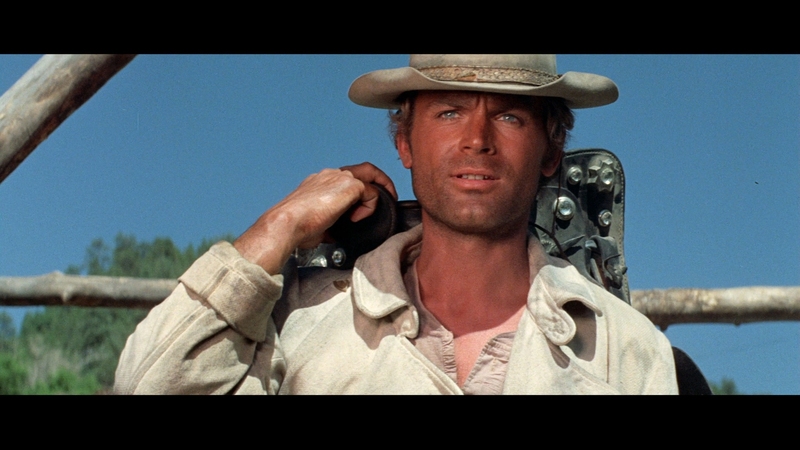 Unfortunately for him, a much younger gunslinger only known as Nobody (Terence Hill) wants Jack Beauregard to go out in a blaze of glory as an immortal legend. Nobody follows Beauregard around like a puppy dog, hoping to steer him into a confrontation that will write both men into history. Once Nobody makes Beauregard a legend, Nobody is hoping to finish him off in a classic duel. 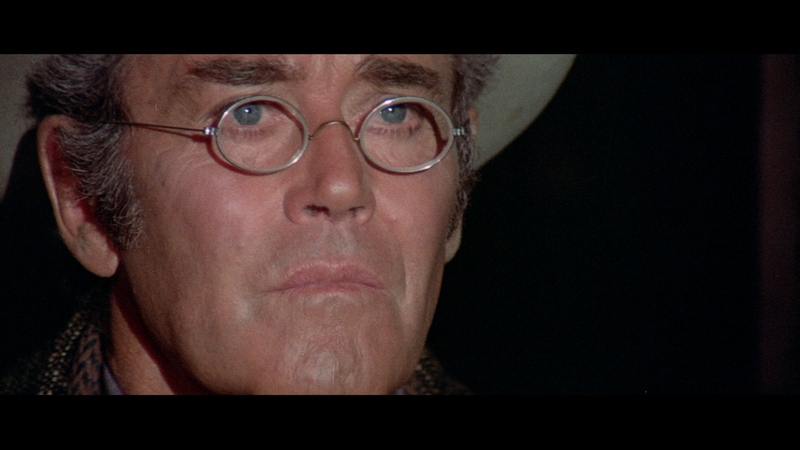 Henry Fonda is excellent as the fading but still effective gunslinger. 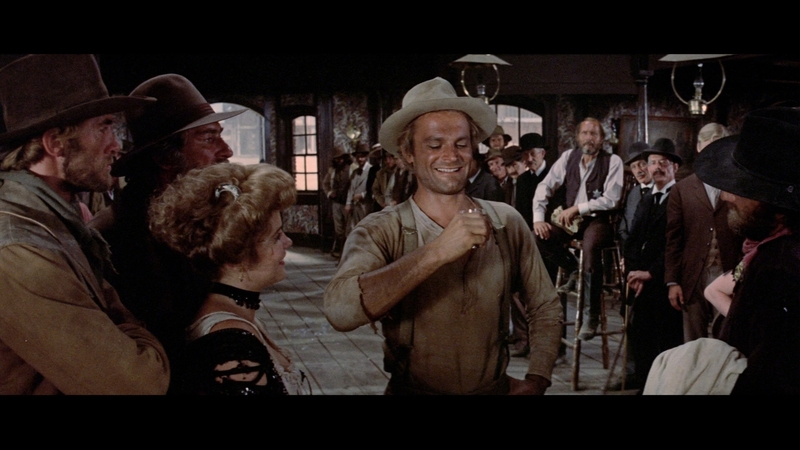 Old associates of Beauregard’s start turning up dead and it becomes apparent a huge posse known only as the Wild Bunch have marked all the men for death. This puts a severe crimp into Beauregard’s plan to retire, aided by the ambitious Nobody every step of the way. Hill’s performance as Nobody is loose and filled with slapstick, a strange protagonist for a film of this type that seemingly works without much problem. 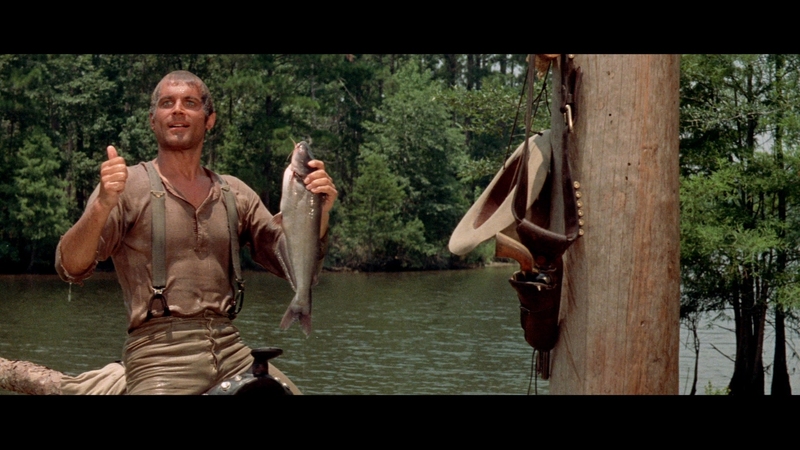 His unerring cool demeanor and incredible gun tricks act as a nice counterpoint to the stoic heroes of this genre. The viewer goes in expecting Beauregard to be the hero but as the story unfolds, we realize that Nobody is its real driving force. Genre fans will love this humorous and clever ode to Leone’s classic Westerns. It does not have quite their power but its memorable characters and surprising conclusion are worth a look. I was hoping to report better news about this Blu-ray’s film transfer. Image Entertainment has used a transfer with fairly extensive print damage, full of gate scratches and other film debris. It is an unmolested but ragged film print, almost certainly not taken from the original camera negative. The rough condition waxes and wanes in clarity. No real film restoration has been attempted to salvage these secondary film elements used as the basis of the transfer, though it is not unwatchable. This BD is definitely an improvement over existing DVD versions and shows modest improvements in resolution, detail and definition. The AVC video encode is a solid effort, handling the rough grain structure and filmic textures with few artifacts. The main feature, presented in 1080P resolution in its native 2.35:1 aspect ratio, averages 22.07 Mbps over a BD-25. Image Entertainment has not applied any level of filtering or digital scratch removal to the transfer. The poor level of detail and lack of high-frequency content in close-ups can be attributed to a dull and faded film source, not to mention some of the original cinematography. There is some slight optical ringing visible in a few scenes, though that is also due to the original photography. The picture quality itself is mostly soft with acceptable contrast levels and slightly warmed-over flesh-tones. Color fidelity and black levels do not leap off the screen as it should in the more lavish film transfers from the era. The sub-par clarity still shows some improvement from standard-definition versions, bringing out a more film-like texture than DVD is capable of. 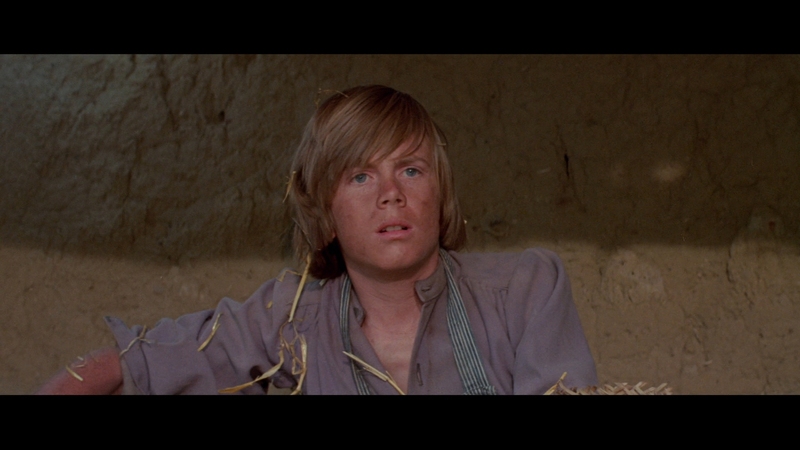 Serious videophiles should probably wait for a better option to appear for this film on Blu-ray. Diehard fans might have to accept some of this transfer’s limitations, as this might be the only HD version we get of this spaghetti western. A 2.0 DTS-HD MA dual mono soundtrack nicely handles the score from legendary composer Ennio Morricone. This is a whimsical, lighter score from the man known for scoring many classics from the genre. Some passages highlight his more serious signature motifs, though some scenes have dated musical elements from softer Pop sounds of the 1970s. 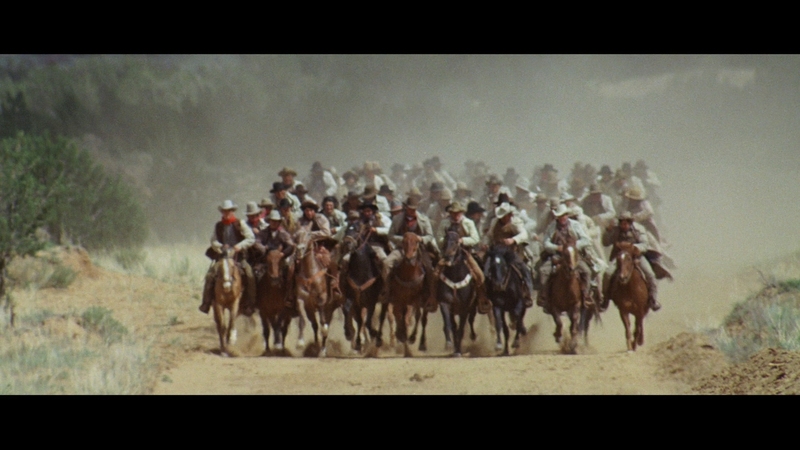 It is a powerful score in its more dramatic moments, as when dozens of men on horse show up to hunt down Jack Beauregard. 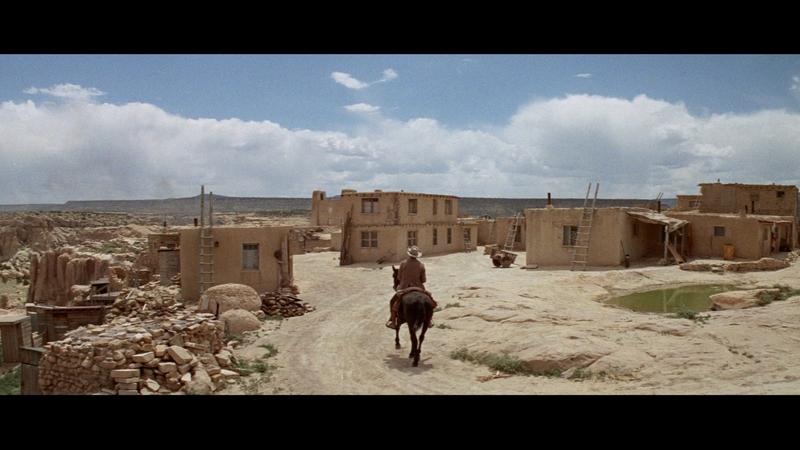 My Name Is Nobody’s score does not reinvent the music of Spaghetti Westerns but is a fine example from the genre. The musical score’s fidelity is somewhat limited and dated. Sounding thin and congested at times, there is some minor distortion in the more operatic moments. 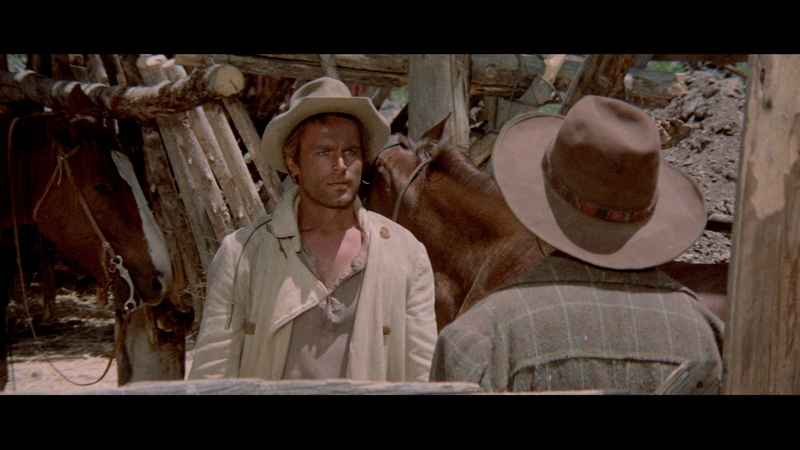 Dialogue seems to suffer no ill effects, clearly presented in the off-beat dubbing associated with Spaghetti Westerns. Sound effects such as gigantic explosions and wild shootouts lose their expected dynamic range. Optional English SDH subtitles display in a white font, appearing partially outside the 2.35:1 widescreen presentation. This Blu-ray contains no special features.